Published by Enitharmon Books in 2006: for more information click here. “Unlikely to be bettered for many years . . . Crucefix has brought greater poetic resources to bear than any previous translator . . . [he] has put his talents at Rilke’s service and produced a translation of the Elegies which makes all previous ones clumsy and partial. With the German text in parallel and a useful commentary on each elegy, it deserves to become the standard English edition worldwide” Hannah Salt, Magma – here. “Great poems require constant retranslating, ever fresher encounters. Crucefix’s version is substantial, powerful and necessary work. Readers may well fall in love with parts of it and regard the Crucefix Rilke as their life partner” George Szirtes Poetry London – here. Charlie Louth (Modern Poetry in Translation) reviews Duino Elegies: here. 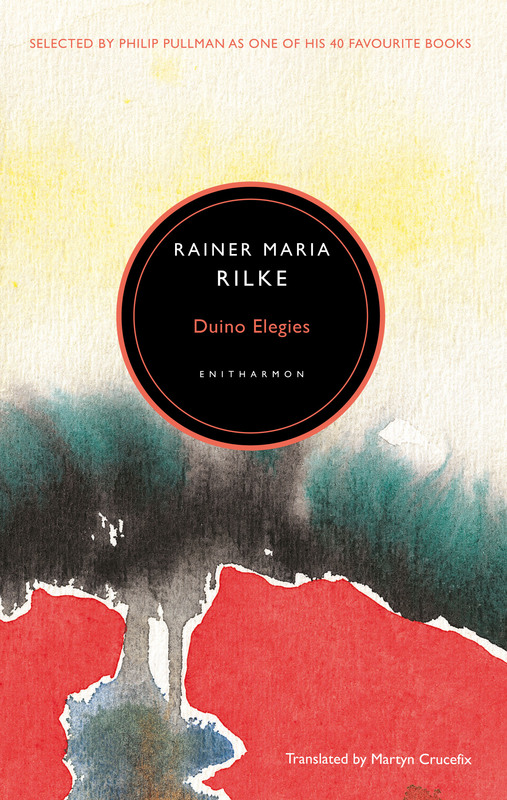 Rilke’s fourth Duino Elegy: available on the web here. to let us go on living. Every angel is terrifying. of black grief that would burst from me. Ah, who is it we can turn to for help? Not angels. that moved in and now will not leave us alone.